Huskie Robotics, FIRST Team 3061, is the the middle of the FIRST Robotics Competition build season (three weeks into the six week season). This is a very busy time. A week ago an extremely generous member of our community donated some tools and equipment to the team. 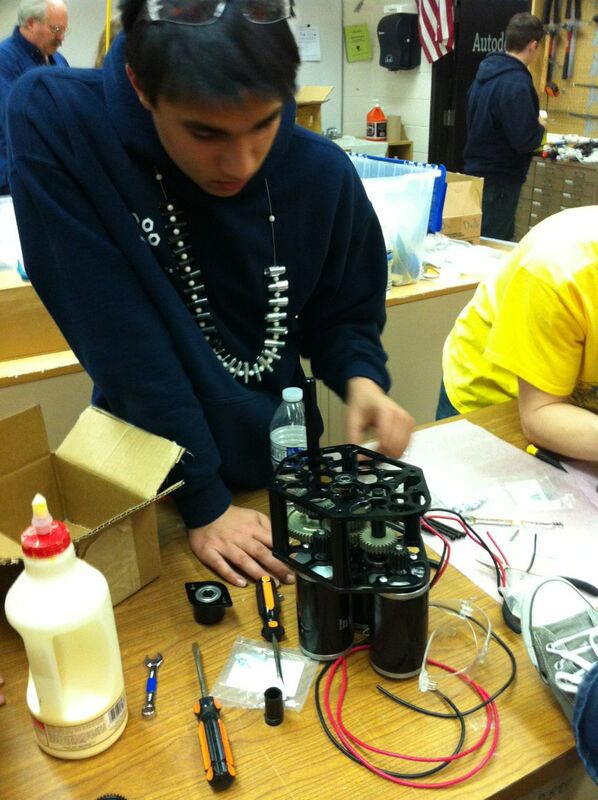 Included in his donation was a string of bolt sizers, which our student mechanical lead is now wearing as a necklace. He needs all the help he can get as they try to assemble a three-motor shifting gearbox without any instructions!